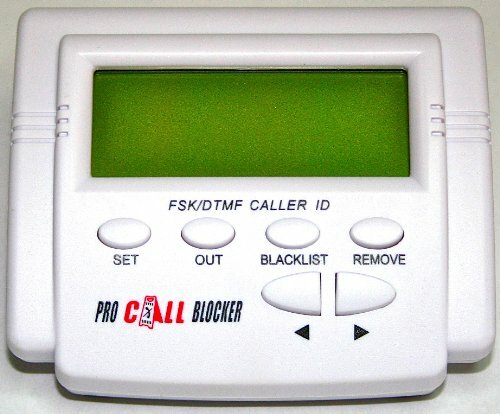 The Pro Call Blocker Newest Version 2.2 is designed to block all unwanted calls from telemarketers, solicitors, credit card companies, political calls or any other type of unwanted callers. This device is capable of blocking up to 1,200 different numbers, including 10 area codes such as the 800 numbers. The Pro Call Blocker Version 2.2 can store up to 100 incoming calls and up to 50 outgoing calls allowing the customer to search through recent calls on the display screen. This device is fitted with a “Set” “Out” “Blacklist”, and “Remove” buttons on the screen, as well as left and right directional arrows that allow for easy maneuverability. This product also comes with a 2 year warranty that the customer can choose to purchase with the device. One touch call blocking feature for simple usage. Blocks “Un-known”, or “Out-Of-Area” numbers as well as numbers that cannot be listed. With the ability to block up to 1200 different numbers theres no need to worry about lack of space on the device. Customer reports the device itself is easy to use and setup. This device does not require batteries it runs off of the power the phone system uses. People reported that the customer support for people who had minor problems with this device was not helpful or did not help at all. This device’s screen has no way of lighting up, so when receiving a call at night it is very difficult to read the display on the device. Customer reports that the caller id was not displayed on the device, or the date and time would not sync with the phone. The Pro Call Blocker Newest Version 2.2 is designed to be an effective call blocker and if the customer successfully installs the device this product will do what is designed to do. This device is fairly cost efficient compared to its competitors making this device a good choice. After installation users will be able to take advantage of simple one press call blocking that will rid them from those pesky automated calls. The device itself is very well made and the buttons allow for easy maneuverability within the display. 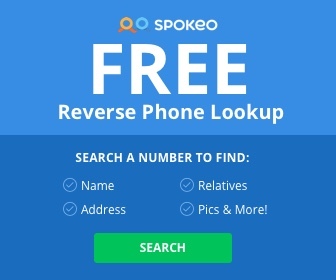 Although many people have had major success with this device there have been customer reports that the device was not displaying the caller ID or doing any of the features this device is marketed to do. Although there are a few reported problems with the device there is an overwhelmingly positive review of the device making it a great product. This device is recommended for anyone who is looking to rid themselves of those irksome spam calls.